It’s common knowledge that virtual reality headsets aren’t for everyone. Not only can they make some people feel nauseated, but there are those who just don’t like VR games. Considering the price of these devices, expecting stores to allow consumers to “try before they buy” isn’t unreasonable. But how would you feel if somewhere charged you to test drive the PlayStation VR? That’s exactly what one UK game retailer is doing, and people aren’t happy about it. One of the country’s most popular chain of video game stores, Game, has implemented an audacious pricing system for those who want to try Sony’s headset. A ten-minute demonstration will cost just over $6, twenty minutes is around $12.22, and half an hour, which should give someone a good idea of whether they want to buy the device, costs roughly $18.34. Game points out that if you’re so impressed by the PlayStation VR and wish to buy one straight after your expensive demonstration, the money you've spent will be taken off the headset’s deposit price. The company didn't say if it expects buyers to thank them for this generosity. While there have been questions raised over the legality of this policy, Sony said charging for PlayStation VR demos was “at the discretion” of the retailer. Surprisingly, rather than welcoming the chance to spend money on trying out a product, the public’s reaction has been less than positive. Charging to try the headset does make Game look incredibly greedy, and it’s certainly a win-win situation for the retailer. Hopefully, the publicity will cause it to change this policy. 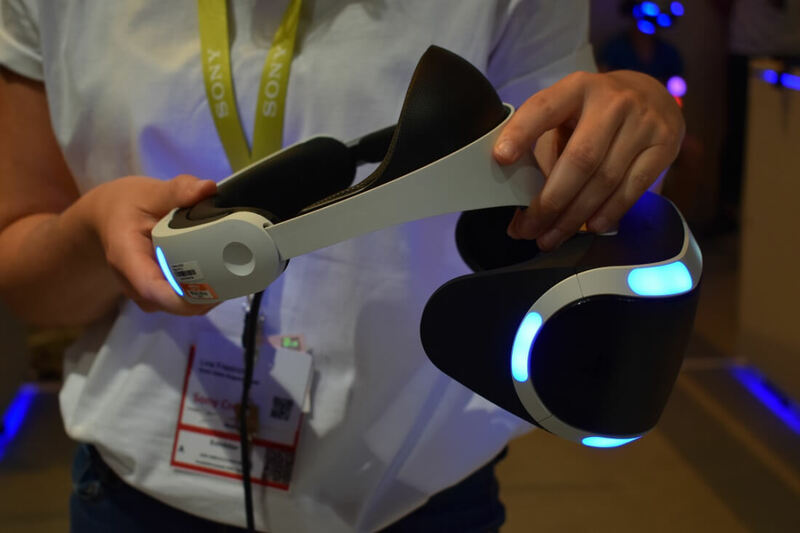 The PlayStation VR has been praised by the majority of critics - it was one of our "Picks of IFA." The headset is out of stock in many UK stores, causing the price to skyrocket. Game is selling the device via a third-party for £499.95 ($610), while trade-in stores are offering second-hand systems for a slightly cheaper price ($549), which is still way above the RRP.